I mentioned yesterday that I launched a new viral marketing site called ContestBurner.com where you can get a copy of my viral marketing WordPress Plugin. The plugin lets you run your very own viral contest on any WordPress blog. I’m giving away the free version of the plugin early to all the visitors who participate in the contest. Today I wanted to share a little bit of what has happened with that brand new site as far as website traffic is concerned. Last week that website didn’t exist. As of today, Alexa shows that ContestBurner.com is among the top 40,000 websites in the world. That’s a BIG deal… and it happened in 3 days! To see what I’m talking about, head over to ContestBurner’s Alexa’s Website Traffic Page. Click on the “Traffic Stats” & then “Traffic Rank” tabs. As of right now, The site is ranked 39,570 out of all the sites in the world for today’s traffic stats. As time goes on the 1 month & 3 month numbers will catch up, but since the site didn’t exist 1 month ago… they can’t properly rank it. 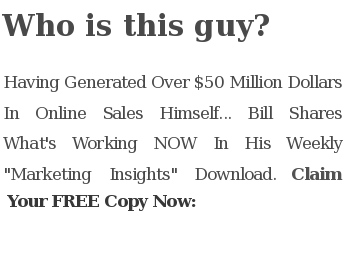 This entry was posted in Blogging, YouTube and tagged advertising campaigns, increase website traffic, online contest, viral advertising, viral contest, viral contests, Viral Marketing, viral marketing campaign, viral marketing contest, wordpress, wordpress plugin by Bill McIntosh. Bookmark the permalink. Very interesting will check out this concept and see if i can implement to my blogs or websites!